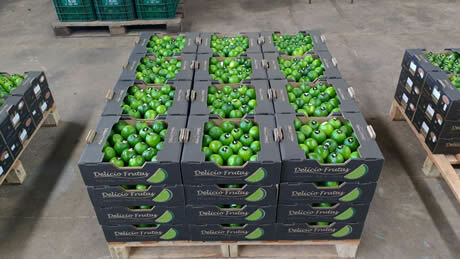 According to Plantations International the supply of limes from Brazil and Mexico is extremely low at the moment. “The volumes are around the same as the figures in 2014. We looked at our latest export figures this morning and see that compared to the same export week last year, 42% less has been exported to Europe. Only 71 containers were shipped from Brazil in week 18. In season 2015 that was 90 containers. There was only a supply of 8 containers from Mexico. In season 2015 it was still 48 containers,” says Martin King of Plantations International. “The reason for less supply is that it has been raining in Brazil, which makes it difficult to harvest export quality limes. In Mexico the harvest has already been delayed this season and they are selling for higher prices than are being realised in Europe in the United States with less risk, shorter transit times and faster payments,” concludes Martin. limes, Plantations International limes, Plantations International. permalink.